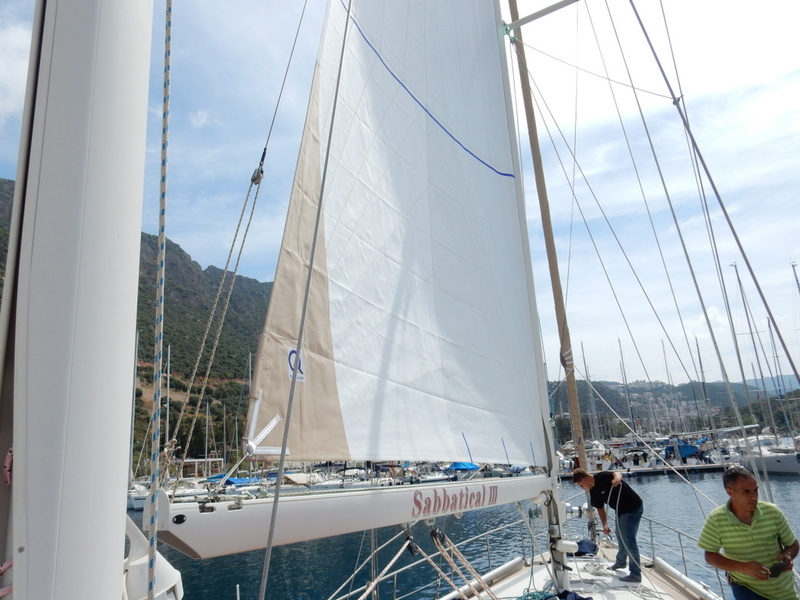 We returned to the boat in Kaş, Turkey on March 31 with plans for a serious refit of Sabbatical III. After one day of work on the boat while on the hard (on land), I took ill with bronchitis or bronchial pneumonia and was sick in my berth with a high fever for a week. The boat stayed on the hard as I was not even well enough to steer it 200 meters from the travel lift to our berth. That certainly slowed down our progress. I had to reschedule our re-rig project for a week later than planned. Once I was on the road to recovery, we had the boat launched and our first refit project, new batteries, began in the launch pool. 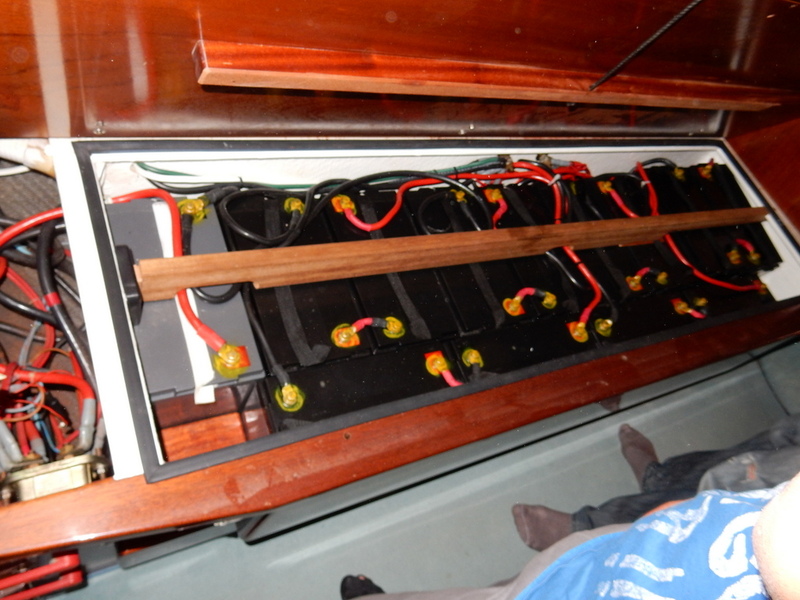 Two strong guys removed our 13 existing batteries (about 80 pounds each), and installed 13 new Victron AGM batteries. 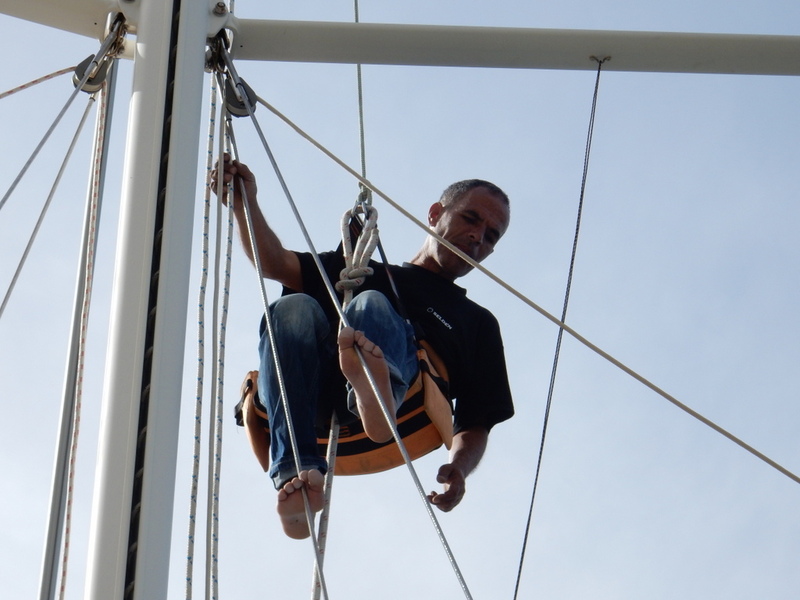 The next day the riggers from QSails (Ogemar Rigging) came to the boat. It took three guys about 22 hours (spread over three days) to re-rig Sabbatical III. 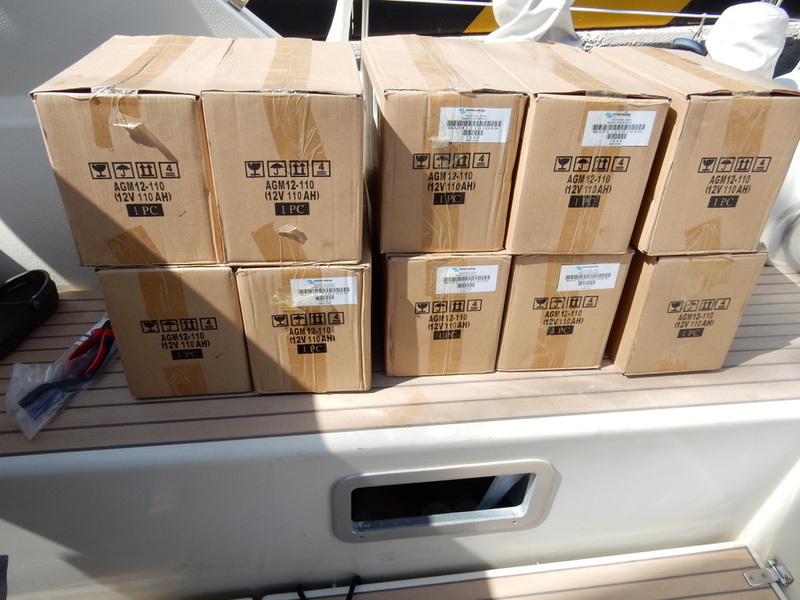 I had ordered a whole set of pre-cut and pre-swaged rigging from ACMO (Accastillage Moderne) in France. 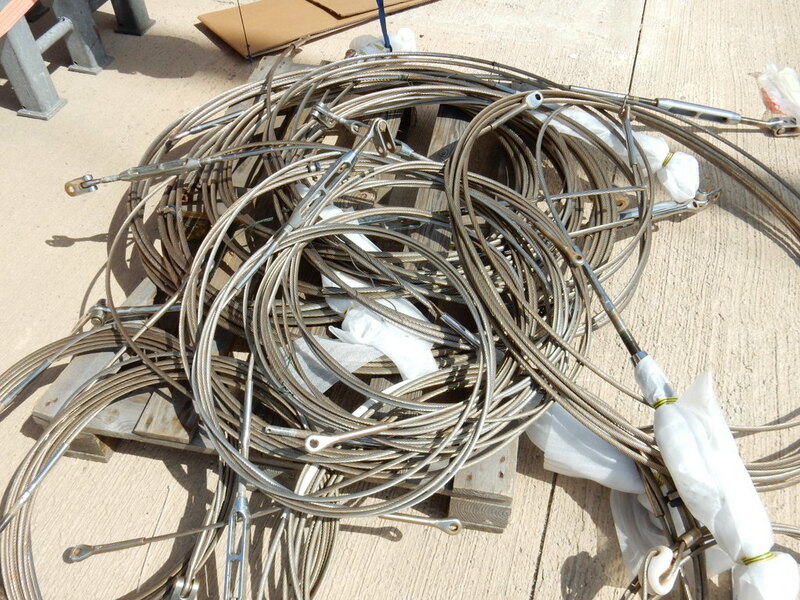 ACMO produced the rigging installed on Sabbatical III when she was first launched in October 2003, and they still had the exact lengths of every stay and shroud. 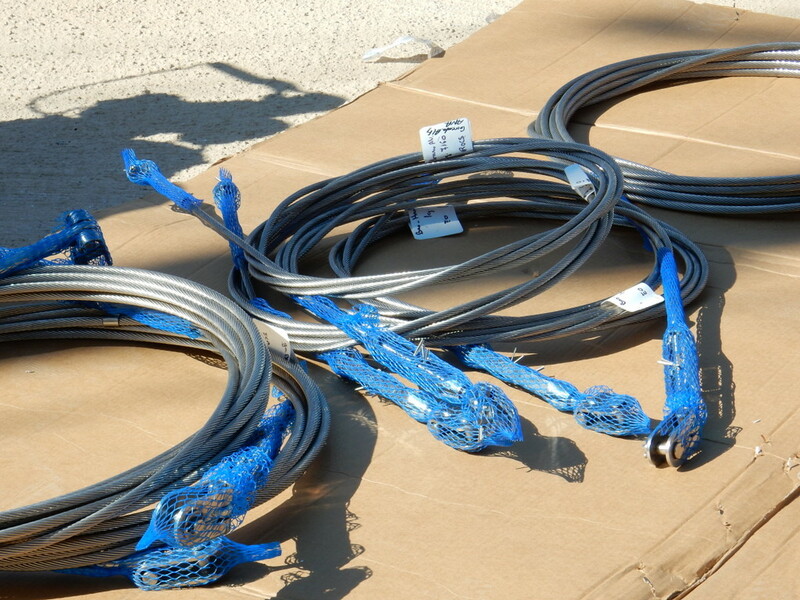 Everything came assembled with eyebolts, turnbuckles, and clevis pins, and clearly labeled in French. Fortunately, I have a sheet with the exact French to English translation. Even the most fluent French-English translator will not know how to translate “cap shroud” or “triatic stay.” The riggers were very professional and we are pleased with their work. The new rigging, nicely labeled and with eyebolts and turnbuckles protected by sleeves. 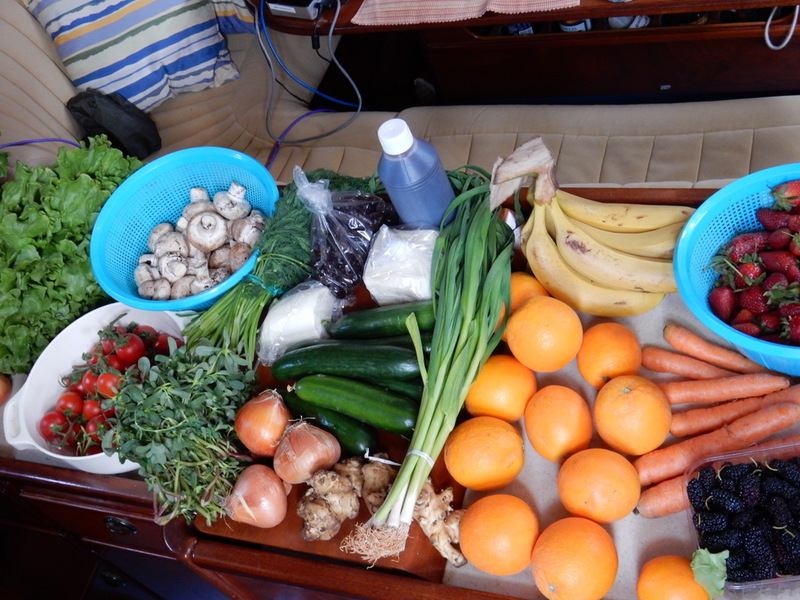 Our new sails were delayed but there were many other boat projects to keep us busy. Also, I tried to take it easy after my illness and not work too hard. We had some issues with our navigational system that required an emergency express shipment from Istanbul which was facilitated by our local friend Eren. 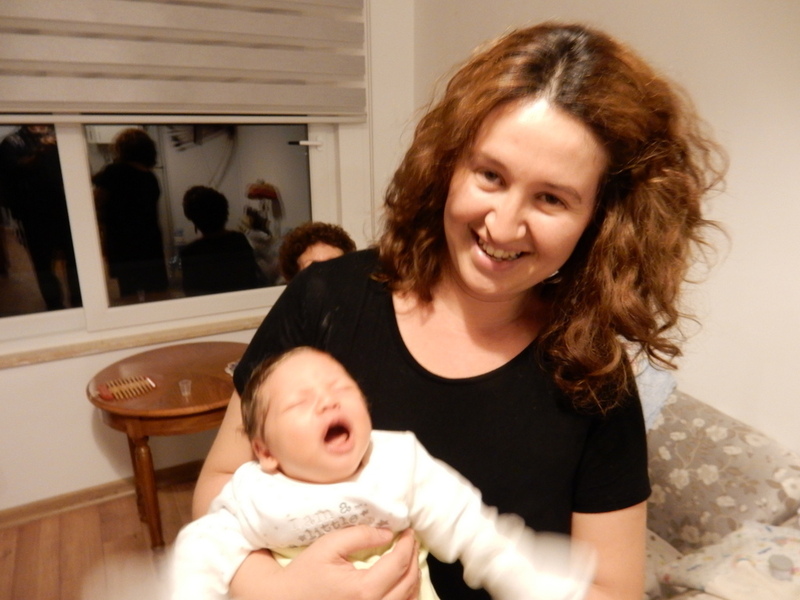 Eren and Bensu just had their first child and moved into a new flat, and we were able to visit with the newly expanded family. 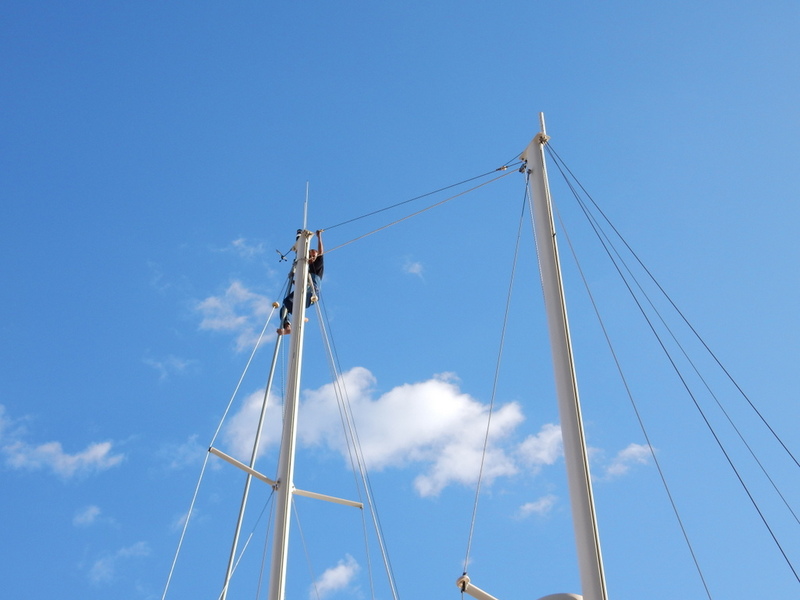 The last major item of the refit happened just a few hours ago — our sails finally arrived from QSails in Izmir. They look beautiful. 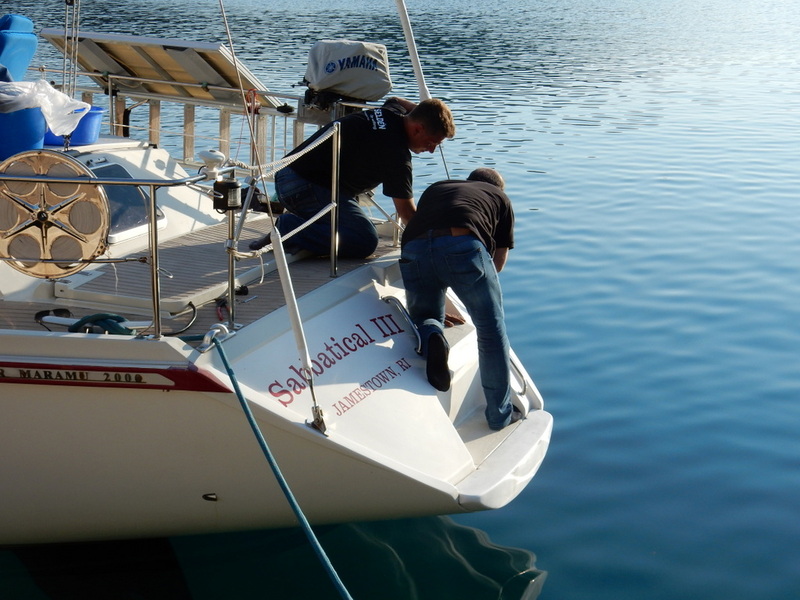 All of this has been completed just in time, Tomorrow morning (Sunday, April 24) we leave for a 165 mile sail north to Port Iasos Marina in the bay north of the Bodrum Peninsula. It should take 24 to 28 hours in mostly light to moderate winds. Wednesday morning we will take the dolmuş to Bodrum to visit with our Turkish friends Mehmet and Begum of the boat “Kabuk.” Mehmet and Begum live on their boat in the Kaş Marina but sailed it to Bodrum 10 days ago to work on it. We are leaving Kaş and Turkey. Our new base will be the Marina Sifredi on the island of San Pietro just to the southwest of Sardinia. 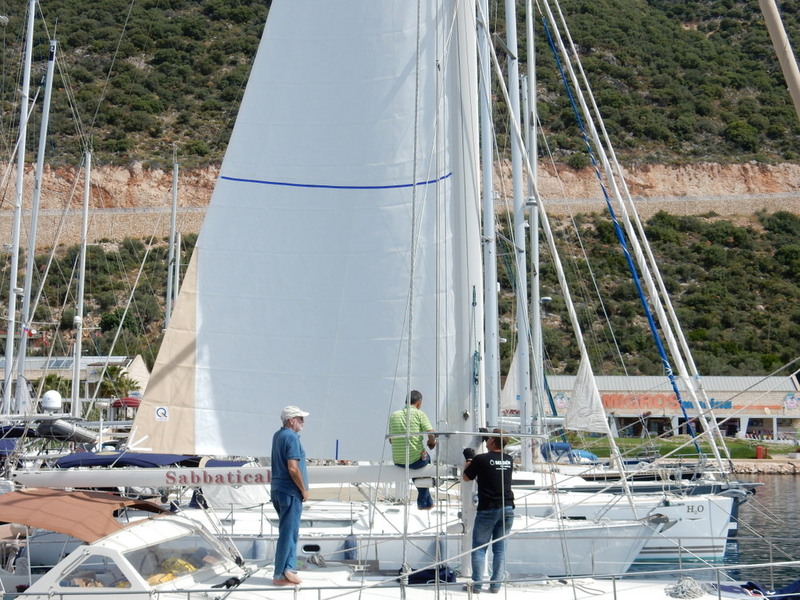 Our plan is to spend two days at Port Iasos before moving to the larger marina at Didim. 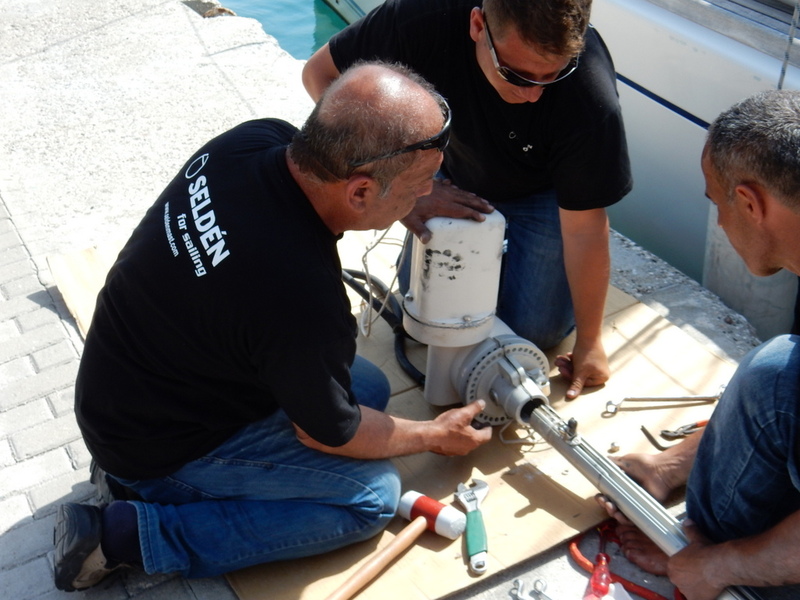 At Didim Marina, the good people at QSails will re-tune our rig and check on our sails and deliver our new asymmetrical spinnaker on a Selden furler. Once we find a good weather window, we will clear out of Turkey at Didim and head for Sicily, where we will clear into Italy. That is a fairly long trip that will take us across the Aegean and through the southern Cyclades, around the bottom of the Peloponnese, and across the Adriatic to Messina or Ragusa on Sicily. We will probably only stop twice on the way (Antiparos and Methoni), but that depends on weather and how we and the boat hold up. We are sad to leave Kaş. This is a wonderful marina in every respect — the best that we have every been in, and we have made some wonderful friends. But if this is going to be a circumnavigation, we better keep on heading west.